with Laura Murray. 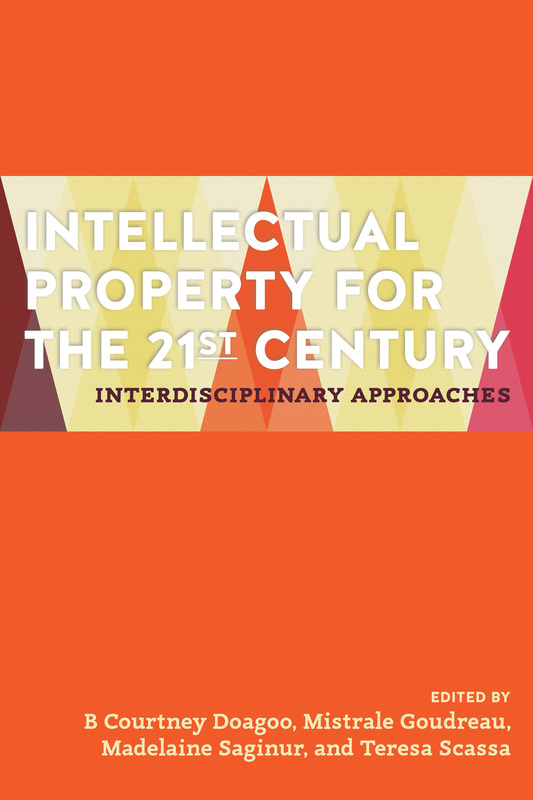 “Appropriation Appropriated: Ethical, Artistic and Legal Debates in Canada.” In Intellectual Property for the 21st Century: Multidisciplinary Perspectives on Intellectual Property Law. Madelaine Saginur, Teresa Scassa, Mistrale Goudreau, eds. Toronto: Irwin Law. Although Appropriation Art is often used to illustrate how freedom of speech can be constrained by expansionist copyright, such a framing oversimplifies the complex and often contested ways visual culture is used, borrowed, and stolen. Using Canadian examples to unsettle the centrality of US-centred copyright debates, the authors examine Appropriation Art from three interlinked perspectives: first, as a historical phenomenon within the Euro-American, and specifically the Canadian, art world; second, as a term that came to prominence during the Canadian copyright debates of 2006, and became entangled with a history of artist activism as practiced by Canadian Artists’ Representation (CARFAC); third, as a heretofore unexamined tension between appropriation championed as an act of resistance to the US entertainment industry and government, and appropriation vilified a decade earlier in Canada during controversies about cultural appropriation and “appropriation of voice” from Indigenous and racialized people. Ultimately, appropriation, whether as an art practice or an object of potential copyright regulation, is not the same in Canada as it is in the US, or for that matter, in theory. It has a history, which must be recognized if the interests of the various parties involved are to be accommodated or at least adequately described. Read a pre-publication version of the paper here.